Winter Driving in Edmonton is Snow Joke! Having a few winter driving techniques up your bundled sleeves can be very useful — especially when you live in a place where winter seems to last for all 365 days of the year. Well, thanks to global warming, the winter actually only lasts about 150 days, but Mother Nature shouldn’t expect a thank you note any time soon. My point is, winter travel isn’t as dangerous as when the first horse and buggy took to the Oregon trail, but you should still take a few precautions.  Read on as the team from Team Ford shares a few of their helpful hints. No, seriously, buy a truck from Team Ford. There’s a reason why we sell so many. Vehicles with higher ground clearance and four wheel drive make the snowy, icy, generally unpleasant road conditions found during winter driving a bit more bearable. But, if you aren’t in the market for a new vehicle, there are steps you can take to winterizing your current vehicle, like making sure you’ve got proper winter tires on your ride. Also, and this one may just fall under the category of common sense, but make sure you are bundled up in appropriate winter weather gear. You may think you’re just going for a quick trip to the drive-thru, until you are standing outside your car, shivering, and surveying the damage to your bumper from some thoughtless soul that didn’t read our blog. There’s a reason drag races take place on dry tarmac, and not at the local ice skating rink. Even with good winter tires, traction when doing any winter driving is never a given. Unless your name is Connor McDavid, accelerate slowly off the line. Give yourself extra time to get where you are going. For the chronically late, myself included, leaving an extra ten minutes early will save you from stressing out about being on time (and it will likely save your insurance deductible from going up should you play a game of unwitting bumper cars with your automotive neighbours). Don’t just accelerate slowly, brake slowly as well. Black ice is both invisible and dangerous (who names this stuff?) and slamming on your brakes is a recipe to lock your wheels and end up in a snowbank, or worse. When we say you’re getting too close, we aren’t referencing R&B supergroup Next’s 1997 smash hit. We all know the two steamboat rule (or Mississippi, or whatever you use to count) but on potentially icy roads that may just not be enough. When doing any winter driving, give yourself a greater distance between you and the car ahead of you, in the event that someone does brake a little hard. Remember, the goal here is to get from point A to point B in one piece. Along those lines, try not to stop if you don’t have to, especially on a hill. Nor should you try to power your way up a hill. Slow and steady is the name of the game, not Sorry!, Connect Four, or Operation. If you want to play those games, stay home and order UberEats or Skip the Dishes. In fact, when the weather is truly terrible, try to stay off the road if you can. Hopefully you found our winter driving tips helpful, and you have a safe and accident free season, full of many trips to tropical climates. In the meantime, stay tuned to the Team Ford blog for more helpful hints, tips, and all sorts of automotive gossip. And stay warm out there friends.